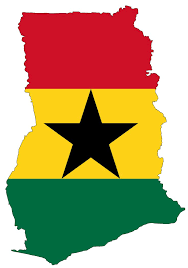 Coming up is a list of great scholarships available for students from Ghana. The MasterCard Foundation Scholars Program at KNUST provides economically disadvantaged, yet talented young people in Africa with access to high quality and relevant university education. Kwame Nkrumah University of Science and Technology (KNUST) is a leading educational institution in Kumasi, Ghana, founded by Kwame Nkrumah in 1952. All subjects are considered for this scholarship, with applications from science students being preferred. The scholarship covers tuition, accommodation, learning materials, uniform, transport, and a stipend. If you apply for this scholarship and are successful, you will be expected to “Go-Back Give-Back” to your community. Thanks to a $13 million partnership with The MasterCard Foundation in Canada, Ashesi University is awarding significant financial support to qualified students. The Students Financial Aid Office (SFAO) is accepting applications for the award of Scholarships. The scholarships are designed for high achievers (Gifted Students) who are from areas of need. The Scholarship will cover tuition, books, all fees, as well as room and board, and will be awarded for four years as long as excellent academic standards continue to be met. You are eligible to apply if you: 1. are a Level 100 student, 2. reside in an impoverished part of the country. 3. are able to demonstrate limited family income and/or insufficient funds to cover most or all educationally related expenses. 4. attended a LESS ENDOWED Senior High School (verify with the SFAO) 5. obtained an aggregate of 14 or better at the WASSCE. To apply, submit a completedUNIVERSITY SCHOLARSHIP APPLICATION and the required essays, a copy of your academic records (WASSCE grades) and letters of recommendations are encouraged. For inquiries call the Students Financial Aid Office on 021-945312 or emailfinaid@ug.edu.gh. The University of Westminster was Britain’s first polytechnic university. The undergraduate scholarship is highly competitive and very beneficial to its recipients. Individuals who are academically endowed but financially challenged get the opportunity to pursue a full-time degree at this University. One major advantage of this scholarship is that it is not limited to any field of study – it applies to all the undergraduate courses offered at the university. Students from developing countries who have challenges funding their education are encouraged to apply for this scholarship. Benefits of this scholarship include a full tuition fee waiver, accommodation, living expenses and flights to and from London. York University is currently Canada’s third-largest university and provides applicants with a wide variety of courses to choose from. Recipients of this scholarship are selected based on academic excellence, leadership qualities, exceptional community service and individual achievement. Scholarships for international students amount to $35,000 per year for four years, totaling $140,000. Once you apply for this scholarship, you receive automatic consideration for all other international scholarships at the University. The Australian Development Scholarships, popularly known as Australia Awards, were set up to promote knowledge, education links and enduring ties between Australia and its neighbours. Recipients of this prestigious scholarship join a host of talented individuals who contribute to sustainable and lasting change in their home countries. The key aim of these scholarships is to identify and nurture leadership potential in individuals from developing countries, as well as to provide enhanced leadership, knowledge and technical skills to partner governments. Benefits of this scholarship include tuition fees, an economy class flight to and from Australia, an annual stipend of AUD 30,000, OSHC and an establishment allowance of AUD 5,000. OFID (OPEC Fund for International Development) sponsors outstanding young students from developing countries who are facing challenges in financing their studies. In addition, OFID helps highly motivated and driven individuals achieve their dreams of pursuing higher education. Applicants are required to obtain admission to a master’s program in a field related to development before applying for this scholarship. This highly competitive scholarship applies to courses offered by any recognized university in the world. The scholarship value amounts to US$50,000, comprising of tuition fees, a round-trip flight, health insurance, a relocation grant, and a monthly allowance. The Fulbright Foreign Student Program enables graduate students, young professionals, and artists from abroad to study and conduct research in the United States. Approximately 4,000 foreign students are awarded Fulbright scholarships every year. Scholars are chosen for their leadership potential. They get the opportunity to observe political, economic and cultural institutions, exchange ideas, and embark on joint ventures of importance to the general welfare of the world’s inhabitants. In Ghana, the Fulbright Foreign Student Program focuses on the academic and professional development of faculty and administrators employed at tertiary institutions. Preference is given to candidates who are applying for their first master’s degree. The government of the Czech Republic offers a number of scholarships within the framework of its Foreign Development Assistance Program in support of the study of foreign nationals from developing countries at Czech public institutions of higher education. Government scholarships in the foreign development assistance category are awarded to applicants who enroll in study programs with instruction in English. Each scholarship covers the costs associated with living and studying in the Czech Republic, with accommodation, food and transport costs included. Master’s students receive monthly stipends of CZK 14,000 per month, and PhD students 15,000 per month. This program seeks to revitalize the humanities in Ghana, Nigeria, South Africa, Tanzania, and Uganda through fellowship competitions and meetings associated with them. The Carnegie Corporation of New York and ACLS (American Council of Learned Sciences) fund the AHP. Applicants must be nationals and residents of a country in Sub-Saharan Africa, with a current affiliation with an institution in Ghana, Nigeria, South Africa, Tanzania or Uganda. Applicants must also be working on projects in the humanities and carrying them out in Sub-Saharan Africa. Funding is provided for dissertation completion and postdoctoral research and writing. The fellowship stipends allow recipients to take a year off teaching and other duties to complete the dissertation.